Macroeconomic policy decisions, like those made every six weeks by the Federal Reserve, are crucial for people’s economic security—but these decisions are often poorly understood. To shed light on what these decisions mean in everyday life, EPI is launching a macroeconomic policy newsletter, to come out before each Federal Reserve Open Market Committee meeting. 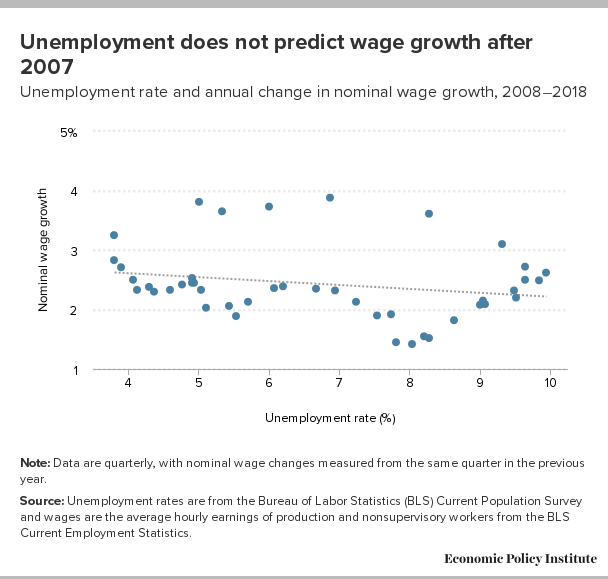 EPI experts will look at data and trends in the macroeconomy and provide evidence-based analysis of how macroeconomic developments and policies will affect the ability of working people to get jobs and raises. Read an excerpt from our newest macroeconomic newsletter by EPI Research Director Josh Bivens, and then sign up. Read more of this newsletter and subscribe here.